Happy Monday everyone! London is an amazing placed and I am so lucky to live so close to it. But it can be quite hectic and draining if you aren’t properly prepared. 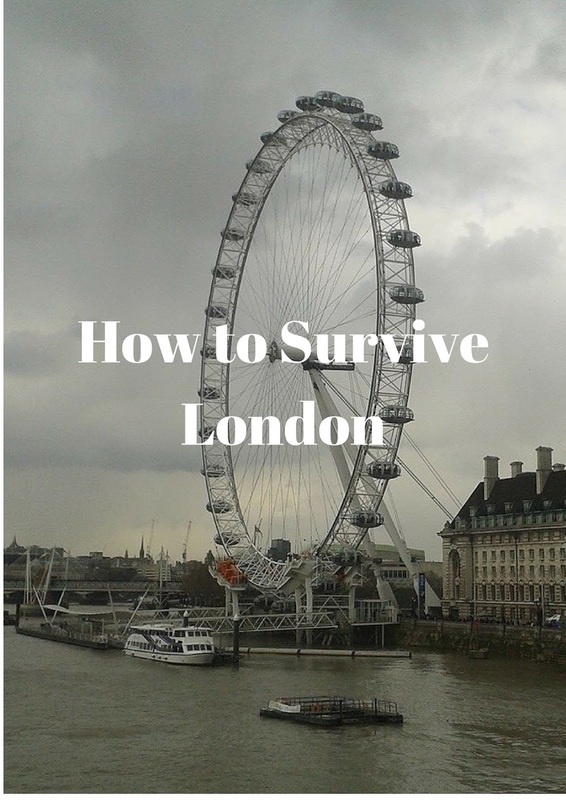 So here are my tips on how to survive a day trip in London. Either pick up a tube map or print one off before you arrive. The tube stations are usually very crowded so getting to the tuber maps on the wall is not always easy. It’s much easier to have one on hand to check your trains, I’m not going to suggest using an app because I believe if you keep getting your phone pout it can make you a target for theft. Trust me, after a day of touching things that millions of people have touched before you your hand will feel gross. Pop some gel in your bag and use it every so often, you’ll feel so much cleaner and will be less likely to get poorly. Believe me you do not want to be on a crowded tube with a massive bag. You’ll get crushed, everyone around you will resent you and you are more likely to get pick pocketed. London’s tourist attractions can be pretty pricey. Before your trip look online for any offers or deals, chances are at least one attraction will have an offer on. Your wallet will be very happy. This may seem obvious but if you are planning on walking all day in London don’t wear those beautiful high heels. Wear some shoes you feel comfortable in, you’ll enjoy yourself so much more. Please don’t bring a selfie stick to London, many of us Brits are not fans of them (many of our museums have banned them). You will get in people’s way, which is something the average Londoners will not be impressed with and you may make yourself a target. You’ll save so much time if you buy one of these cards and put some money on it instead of waiting in a massive queue for a ticket. You will get shoved, tutted at, trod on, and even yelled at in London. It’s best not to be too sensitive and ignore other people’s rudeness. I hope you enjoyed these tips on London. What tips do you have? What do you enjoy doing in London? Thank you Kim you definitely should visit London some day, you'll love it. Thank you my wonderful friend I hope your week is going great so far!